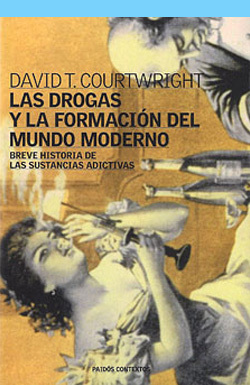 David T. Courtwright, Las drogas y la formación del mundo moderno: breve historia de las sustancias adictivas. Barcelona: Paidós, 2002, 318 pages. Translated by Marta Pino Moreno. ISBN: 978-8449312236. Spanish translation of the original title: David T. Courtwright. Forces of Habit: Drugs and the Making of the Modern World. Cambridge, Massachusetts: Harvard University Press, 2002. Published in Spanish by Paidós.